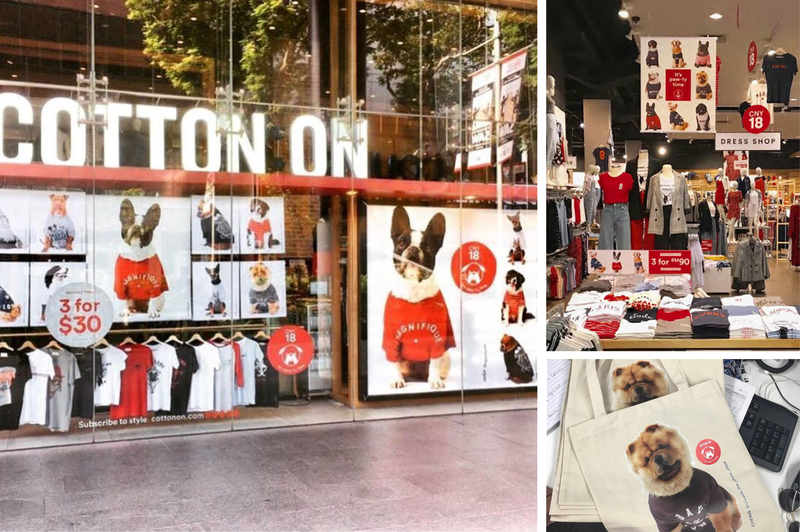 2018 marks the year of the dog in Asia – a market that responds especially well to cute, kitch visual ideas. Which presents a huge creative opportunity to showcase our product in a way that’s both high-impact and culturally-aware. This campaign brought all Cotton On brands together as one. Cotton On Kids, Body, Rubi, Foundation and Cotton On Adults. This year, we treated dogs as the stars of the season. And there’s no bigger way to hero them than to make them our models. Our cute furry friends feature in our shoot as the talent, and come together in our windows for a high-impact moment that celebrates the new year and our product promo. Video: Everyone loves a dog video, so we creative a video that used our dogs showing us how to wear there favourite Chinese New Year tees. Digital: Social, Online Shop and eDM’s. 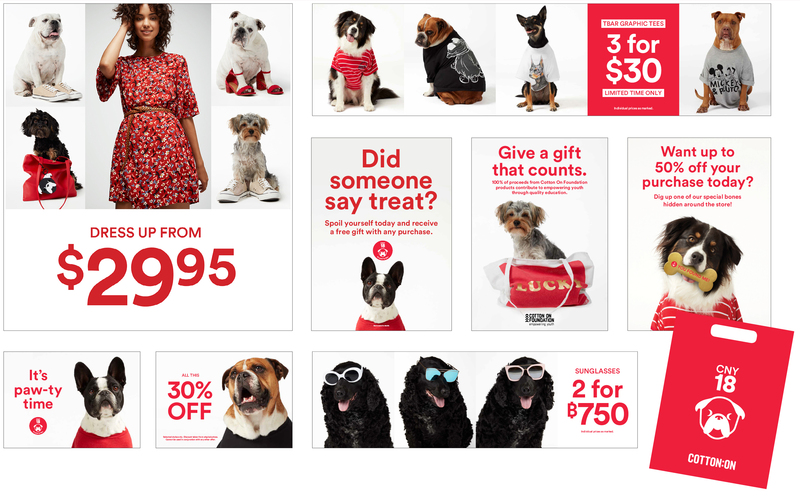 Online Competition: Within the product pages we placed our dogs wearing tee shirts, shoes, sleepwear and asked customers to count them for a chance to win. 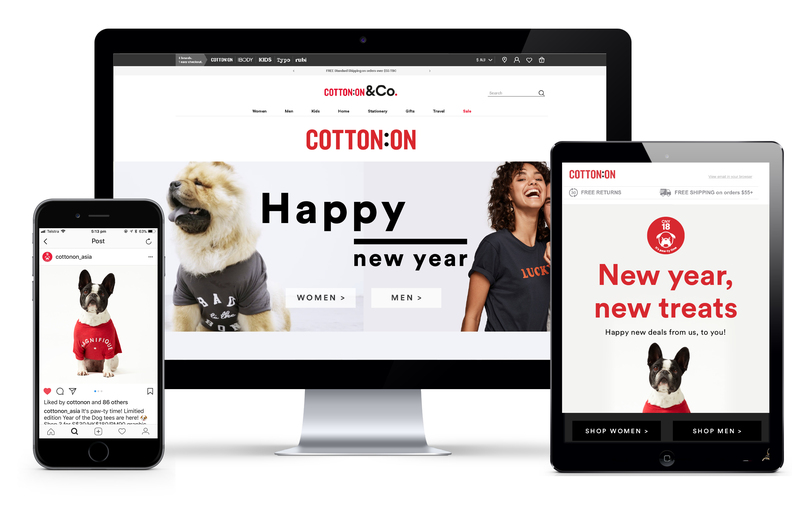 This was a first for Cotton On and the results were outstanding with higher engagement, sales and acquisition to our data base. 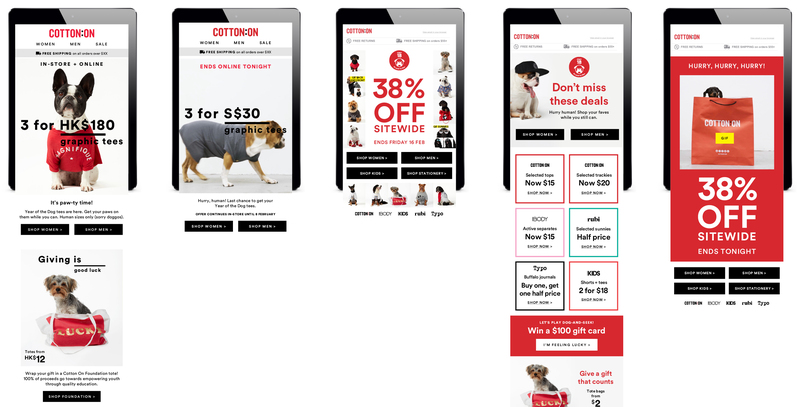 Casting Video: At Cotton On we love having dogs within the workplace so it seemed fitting to put hero staff dogs within this campaign. Staff engagement was high, which meant not all dogs made the final cut. So we created a best of video for staff and an internal Chinese New Year week to celebrate the New Year.